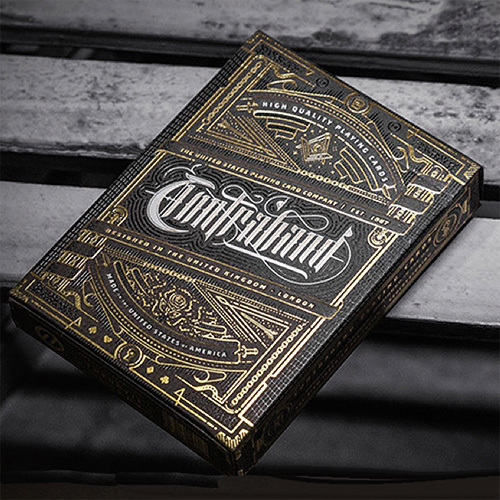 Designed in the United Kingdom by Joe White, Contraband Playing Cards were inspired by secret societies, conspiracy theories, and everything unknown. Every single playing card within the Contraband deck was designed from scratch - even the Aces, Jokers, and court cards display attention to detail never before achieved. Over a year in the making - and every minute of it is visible in the final design.